Have you ever wondered, how is your estate planning impacted by your divorce? If you have, you may find this article very helpful. Once your divorce is finalized, you may want to unwind and take your mind somewhere else, where you can forget about the emotional and financial chaos that divorce brought into your life. But before doing so, there is one more thing you absolutely need to accomplish. That thing is to revise your estate planning. When you first did your estate planning you had no plans to be separated with your spouse and most likely appointed him or her as your main beneficiary and executor of your estate. Now, that you are no longer together, if you fail to revise your estate plan, your assets will end up in the hands of the person who is no longer a part of your family. Discard your Will. If you had a Will made during your marriage the easiest way to revoke it is to simply tear it up and throw it into the garbage. Then create a new document where you can re-distribute your assets to the people of your choice. If you had a Living Will and/or Power of Attorney, do the same to both documents. Change Beneficiary Designations. Contact your Life Insurance, IRA, and banks where you have accounts open to update the beneficiary on each account. However, if you want your ex-spouse to remain as designated beneficiary, verify with the officer what needs to be done to make sure that your ex-spouse will receive the money. For people with minor children, it is important to appoint guardians for the kids. Typically, if one parent dies, the other remains to take care of the children. In the event that both parents are dead or unable to take care of children, the court will appoint a guardian who will continue providing care for your kids. To avoid this situation, you can designate the person of your choice who will raise your children if you are no longer available. If you are getting divorced or you are already divorced, we advise speaking with an experienced attorney about these issues to ensure that you are revising your estate plan properly. Taking action will help you avoid any issues with your estate in the future. Lastly, remember to revise your estate plan every 4-5 years in general, so it will reflect any changes in your estate or family structure. This article was authored by and contributed by Inna Fershteyn, Esq. the founder and principal of the Law Office of Inna Fershteyn and Associates, P.C. Some of us know someone who in some way either has been affected by divorced or getting divorced but either way, they have a story to tell. Divorce is relatively inexpensive. False… so terribly false. Unfortunately, getting divorced can be extremely expensive, especially as issues and disagreements mount higher and higher. Motions and depositions conducted by attorneys all cost money – in fact, anything a lawyer does for you will be billed. You and your spouse can still have a friendship post-divorce. As sad is it is to say, it is pretty rare that you and your former spouse will get along to a point where you can have and maintain a friendship. That is the result of battling in court over expenses and possibly family. Your lifestyle won’t change after divorce. Unless your settlement includes a very lucrative spousal support order, chances are you are on your own to start providing for yourself, and whether you have to start your career or are in the midst of one post-divorce, one salary is not going to allow you the financial freedoms that two salaries did. Don’t believe everything you hear and read from friends or written experiences of divorcees, because personal feelings often cloud the memory. 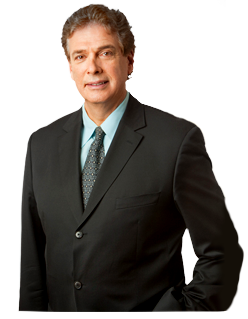 Trust and rely on legal counsel to give you the facts about divorce and the law.